Hi friends! I swear all day yesterday, I kept thinking it was Wednesday. Which is actually a nice surprise for today, because in my head it should be Thursday- but it’s actually Friday!!!! I’m feeling like a trip to the pool is in order today if I can draaagggg my son there. It’s that dang Fortnite, I tell ya! Are your kids/boyfriend/hubby?? into that game?! We have Summer screen time rules, but he still just wants to play all day long! Good news is, once I get him to the pool, he has a blast and doesn’t want to come home! So, drag him I will! What’s on your weekend agenda? If you’re new here, I write all original content for my blog and usually post four days a week. 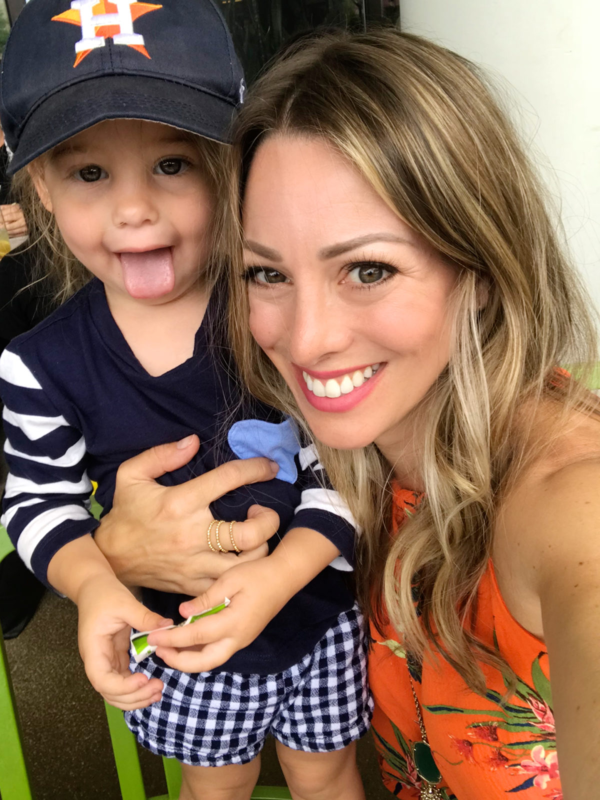 We talk about fashion, fitness, beauty, decor, organization/productivity, holidays, life with kids, and more. At the end of each month, I do a little recap so you can catch up on what you missed! I’m also sharing some of the best summer sales this weekend! I’m always honored that you choose to spend part of your days here! If you want to subscribe so you never miss a post, you can do so here. 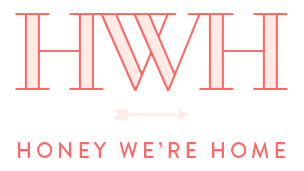 The biggest focus of June has been the #HWHFitnessChallenge! We only have 4 more days to go!!!! I LOVE hearing from you about how the challenge is going for you, so please keep your emails, messages and comments coming! The food/drink rules are simple. No desserts. No alcohol. No fried food. And drink 64oz of water each day. Exercise isn’t overwhelming. 20 minutes of activity every.single.day. Wellness is necessary. You need to meditate, pray or write in a gratitude journal each day. Each week, I shared a new workout that you can do at home without any equipment or with light weights (and I highly recommend jamming out to your favorite playlist while doing them!) A BIG thank you to fitness experts Cari Shoemate and Angi Abercrombie for customizing two of the workouts! 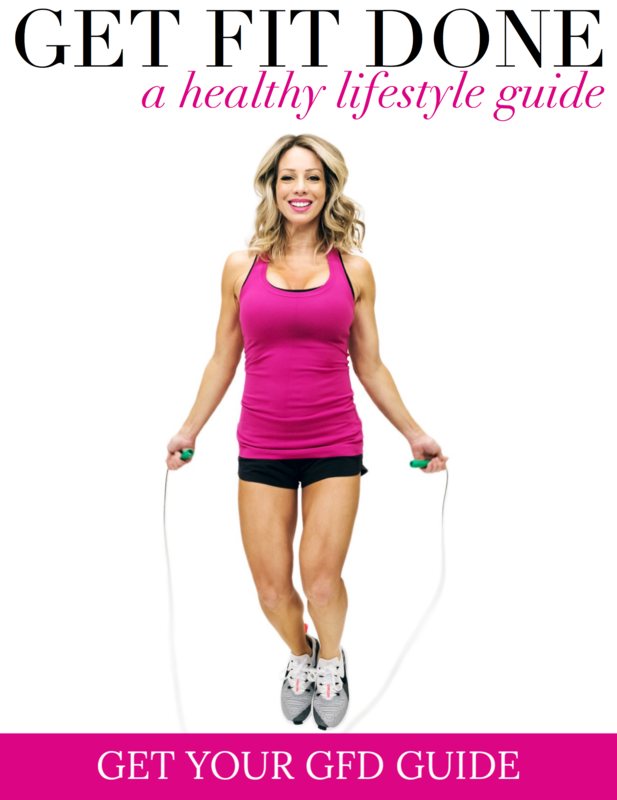 In the Week 4 #HWHFitnessChallenge update, I also shared some tips on how to lose weight. Making the little changes from the challenge are helpful to get you more fit and healthy, but if you really want to lose weight, this post will help! In the first Dressing Room post, I shared my my best bra options for summer shirts. I love this Strapless Bra and this Racerback Bra is pretty and practical. Lots of these cute tank tops could transition into other seasons as well! Y’all know I love a good jumpsuit! They’re one of my favorite things to opt for all year long, especially during warmer months. A jumpsuit is like the hip younger sister to a dress. You can wear it almost anywhere you’d wear a dress, but you’ll feel sassier and more chic! And isn’t Summer perfect for short little dresses and floppy hats?! I found a bright, happy dress for summer (comes in 3 colors) and a super cute and comfy hat that I’m living in right now. You can take this one to the pool or wear it out and about. I placed some big fashion orders recently and when the clothes started arriving, there were so many winners! Lots of things I try never make it to the blog because it’s not what it seemed online, the quality is poor, the fit doesn’t work or whatever. These orders were so good that I’m having to break it into several posts – starting with some cute summer dresses for all occasions! I jumped back into the dressing room/mirror in my bedroom for more fun. I think we all love a good short sleeve sweater, bow-back tanks and scallop shorts! 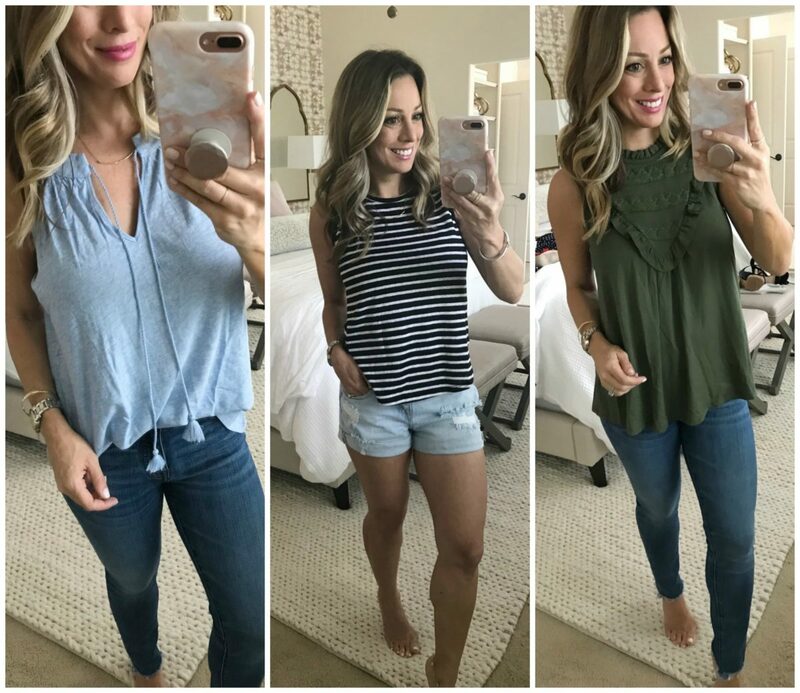 There are so many good sales in this post – everyone seems to be trying to make room for fall clothes – but there’s still plenty of summer left!! In the latest Work . Weekend . Wow, I shared my love for a pop of red. 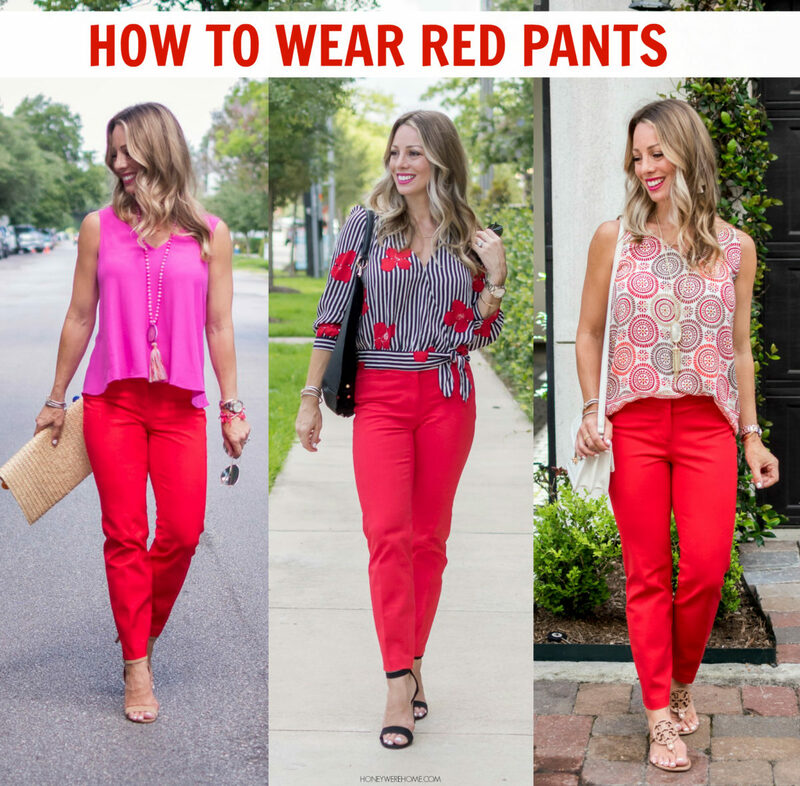 These sassy red ankle pants can be worn all year round to the office, on the weekend and out for a date! So much more fun than black slacks any day! It’s almost time for the 4th of July holiday! If you’ve got a BBQ to attend or you have a dinner out to enjoy a day off, I’ve got some fun outfit inspiration for ya from casual to dressy. 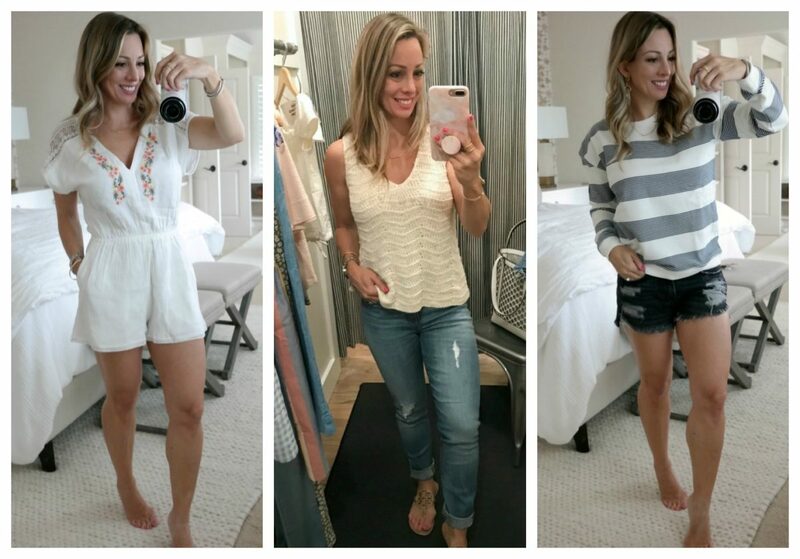 In a new roundup of Summer Outfits, I showed you all the shorts outfits I’ve been wearing (it’s HOT here! ), some breathable summer dresses and my favorite swimsuits! I hope this post inspires you to mix and match the things in your own closet. I was not kidding when I said I found a ton of cute stuff! I did a fourth installment of Dressing Room for you and it’s full of summery goodness! 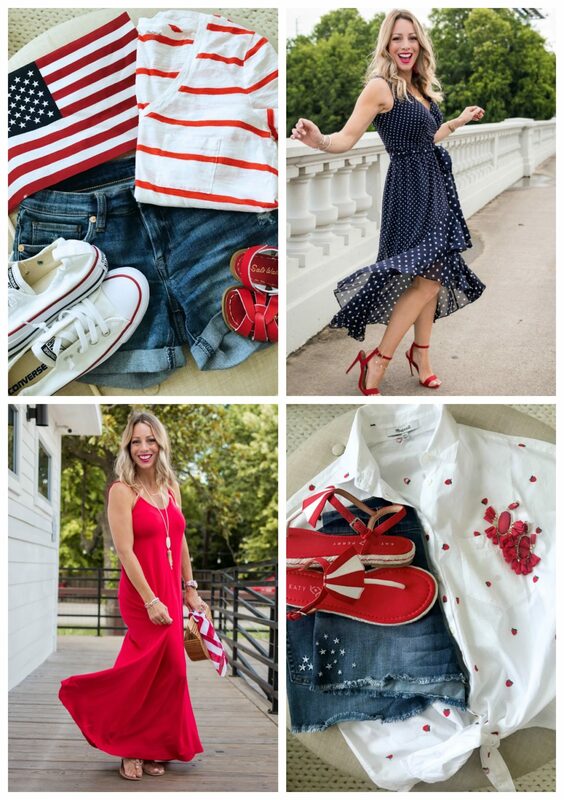 There’s more patriotic red, white and blue, rompers and a few fantastic dresses! Did you see on Instagram how close we were to Justin Timberlake? #pinchme!! In this month’s This & That post, I show him up close and personal along with some looks from the Hi Sugarplum collection and a free printable with tips for summer screen time rules. This month’s LOVES featured my latest Summer obsessions. I loved hearing that y’all are loving the swimsuit and PJ’s too. If these aren’t summer staples – I don’t know what is!! 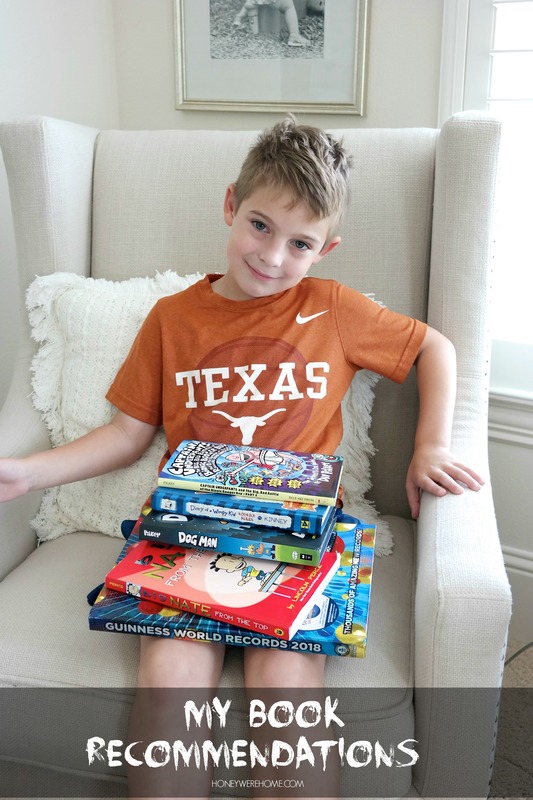 My 8 year-old son even got in on the blogging action with his very first post. Thank you SO much for the love on that one- he read every message and was giddy about it. Now, wherever we go, if someone says they read my blog, he’ll ask innocently, “did you read my blog post?” So cute! And he’s back with a first look at his new room. 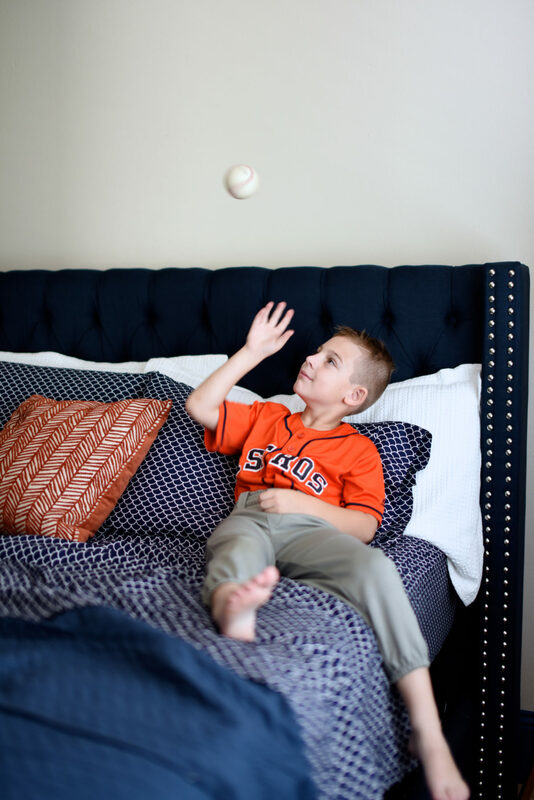 James is a huge fan of the Houston Astros and wanted his room to reflect that. We started with his bed and sheets in team colors! They’re the perfect navy and he’s so excited about the new room! July is already shaping up to be a fun one too! Come back on Monday for my Nightly Skincare Routine and we’ll also be picking the winners of the #HWHFitnessChallenge next week! Now for some of the best summer sales! Below are the weekend steals you don’t want to miss out on. Here are my top picks! NORDSTROM • Great savings! Get the best deals on clothes, shoes and accessories! 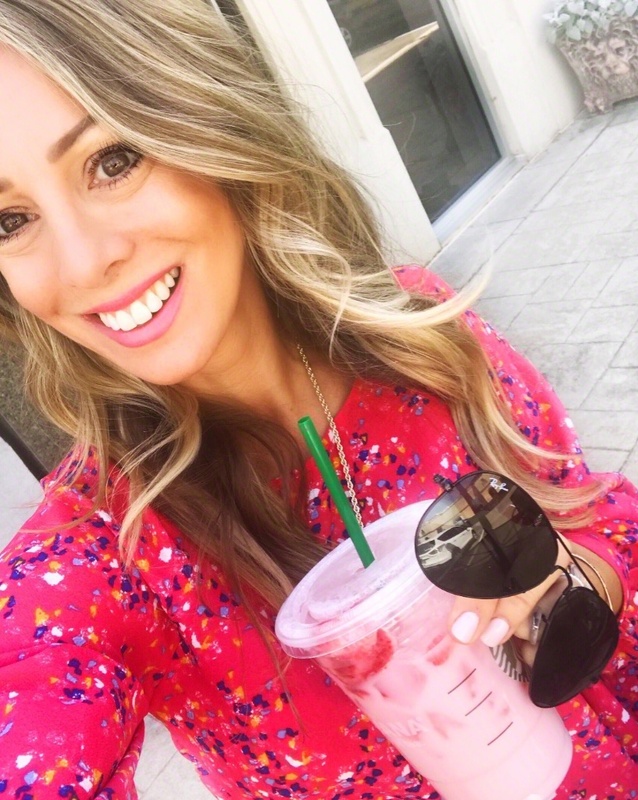 My picks: Another super cute jumpsuit is on sale! Don’t miss out on all the eyelet! 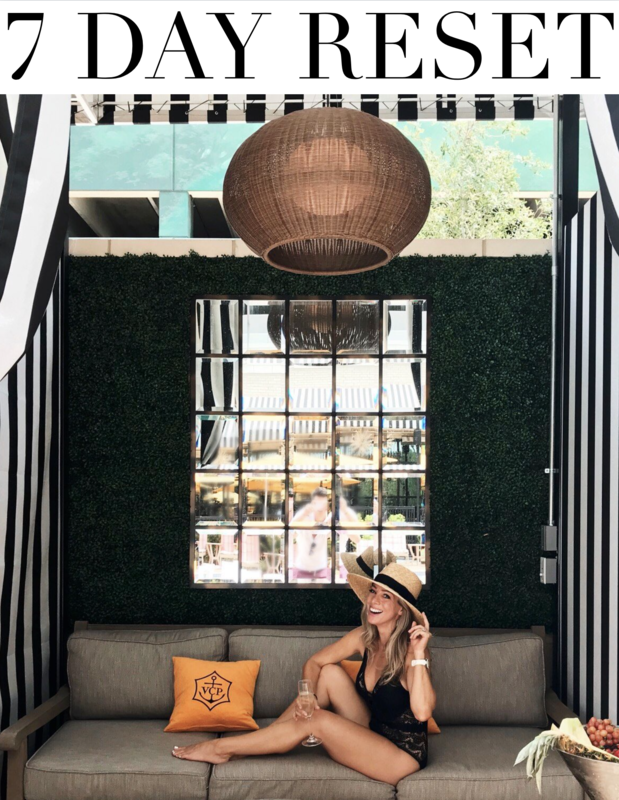 My picks: Now is a great time to stock up on summer essentials like the TSA & travel-friendly Discovery Collection, the pool-side must-have Beauty Water mist, or the Daily Defense SPF 25. My picks: Women’s tops are Buy One, Get One for $19.90! Same with shorts, dresses and jeans. My picks: Cute, stripe, v-neck comfy dress is on sale! And how about this adorable stripe tank?! My picks: The cutoff shorts that I love are under $100! These high-rise capris are on super sale too! Hope you score some great deals from some of the best summer sales happening now! Have a fun and safe weekend, friends! May Rewind & Fitness Challenge Announcement! Can you continue the fitness posts one day a week, I think it would keep people inspired to keeping moving and eating healthier since you were the inspiration for the fitness challange . It could be a workout to do at home, food,ect. I think it would be really cool if you kept it going!!! Thank you so much for letting me know you’d like this! I’ll keep it in mind for the future! Fortnite! Oh yeah. My 11 year old son has just gotten into it. I am lucky that I have 3 kids who really love being outside and playing games together in the backyard, or swimming in our lake, or basketball in the driveway (and we are in WI so the weather is perfect now), so for the most part I don’t worry about screen time because I think they are super active the majority of the day. It’s nice for them (and me) to have some quiet downtime and if they want to watch tv or have some other screen time for a couple of hours I don’t mind. However–it will be way more of a challenge for us in the winter. My younger two kids will always choose reading or playing a game or art projects over screen time, but the 11 year old loves his xbox. Our problem is the opposite- summer is sooo dang hot and humid here that it’s unbearable to be outside during the day most of the time unless we go to the pool. I was just in Denver and the weather there was so beautiful and comfortable for being outside- so jealous! We are lucky James loves to read too. My 13 year old drives me NUTS with the games! I swear, he might think he is Amish by the end of summer. I’m totally over it! Between Fortnite, and youtube, thank the Lord we have unlimited data! Once I get him away though, it’s good! Oh, and I second the ladies above me asking for a fitness post! I’m so with you Lindsey!! Same here – 14 and a 16 year old who are really into fortnight. And the worst part is all of their friends are on it so that’s where they do a lot of their socializing with schoolmates. I definitely have to consciously limit it here or it takes over the day. Totally loving the fitness challenge….working out everyday….hopefully I recorded it lol…meditating and gratitude/devotion grounds me every day! Definitely had more wine than I was supposed to but feeling great! I have enjoyed the fitness challenge, and hope you host Another one soon! I am an exercise fanatic, but I am not a great eater-your son and I would probably get along great! This challenge has helped me make better food choices & be more mindful of when I am eating. Today has been the hardest for me. I would definitely do it again. It’s been a lot of fun!! I love to workout and typically workout 6-7 days a week! But last week I had a nasty summer cold. This challenge was a wonderful push I needed to get up off the couch and go for a walk to be active! Thanks for putting it together! I have enjoyed doing the challenge, I have missed a few days but doing the challenge has definitely made me move more then I normally do! I would love to do another challenge with y’all!! I have enjoyed the challenge and reminders to get out there and workout! Scales did not move for me but it’s a start and I will be working on food next along with continuing to keep moving. Thanks for hosting the challenge. It definitely got me to up my workout level. I appreciate your efforts to include and insipre everyone, regardless of where they are in thier personal fitness. It would be great to see some more suggested circuits like a leg day a booty day, an arms work out. Also, maybe some overviews and commentary different workout programs would be interesting ( pilates, barre, piyo / weights, resistance, bands). Maybe even explore/ review some different fitness apps. Thanks again, I appreciate the accountability of logging time each day! I loved this challenge and it was just what I needed to get me up and moving. I hope you continue to post about diet and excersise once in awhile. Have a great weekend! I wanted so badly to continue in the fitness challenge. But being nearly 7 months pregnant became my challenge. So grateful for this new little life but oye my body is struggling!